This article is about the recruitable character. 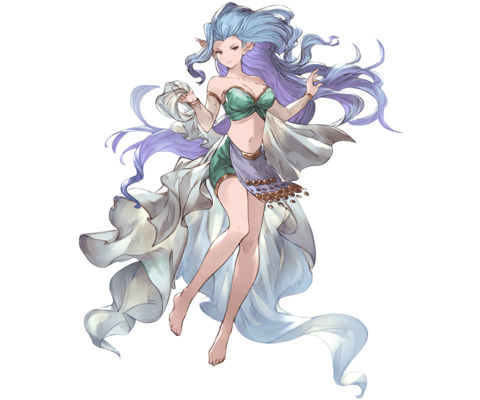 For the summon stone, see Tiamat (Summon). 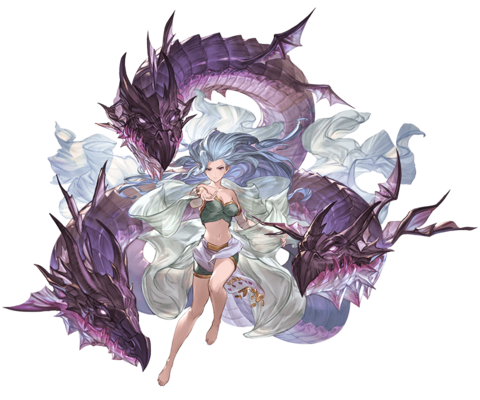 For the Omega summon stone, see Tiamat Omega. 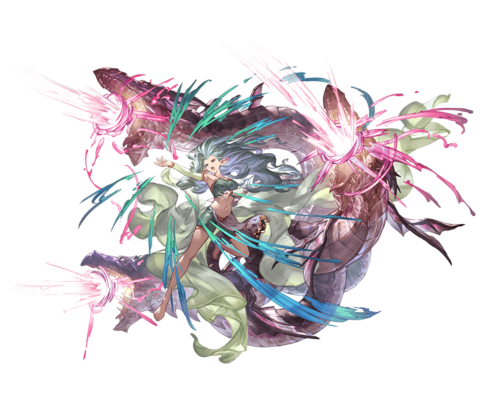 For the raid, see Tiamat (Raid). 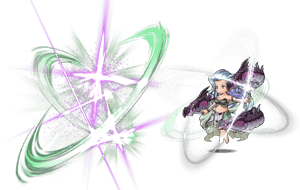 For the promotional summon stone, see Tiamat Alter. [Guardian of the Wind]This title is an unofficial, amateur translation. This purveyor of protective winds has assumed a skydweller-like form. Her breath has blessed Port Breeze with prosperity for hundreds of years and will continue to do so in perpetuity. Nothing can stop her gales from blowing through every corner of the limitless sky. Duration: Indefinite for 1 hit. 20% increased damage against Earth enemies. Requires completing Chapter 14 Story - Rose-Petal Glint to unlock her first Fate Episode. This does not stack with Ring of Raphael (SSR)'s first skill. Gains increased multiattack rate when not debuffed. This page was last modified on 4 January 2019, at 03:40.